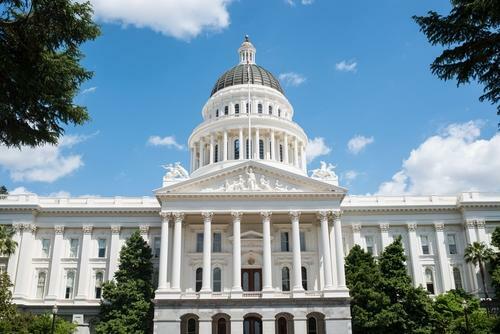 California Senate passes AB 327, extending NEM policies | West Coast Solar, Inc.
On Monday, the California State Senate passed Assembly Bill 327. The bill makes a number of changes to California’s electrical rate structure, and also lifts a suspension of net energy metering (NEM) that would have occurred at the end of the year without legislative intervention. If signed by Governor Jerry Brown, as is expected, the proposed law will be a major victory for solar customers and the industry as a whole. NEM allows solar customers to sell excess electricity generated by their solar panels back to the grid. This arrangement not only helps solar customers save money on their electricity bills, but also provides benefits for the electric grid as a whole. Customers who participate in NEM help alleviate some of the fixed costs of electricity generation and delivery by allowing power companies to spend less money on building new power plants. They also help utilities meet state-specified renweable portfolio standards that require them to derive a certain percentage of their electricity from renewable sources. If you have any questions about whether your home or business is eligible to receive these and other financial benefits for generating solar power, we invite you to contact West Coast Solar today. We can help you navigate the world of solar subsidies to find out what incentives you can earn with a solar PV system.